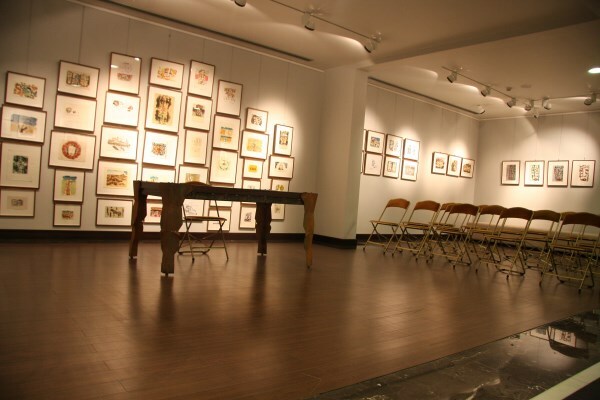 The importance of this occasion comes from the fact that it was a tribute for the writer Abdul Rahman Munif in his 5th memorial anniversary. 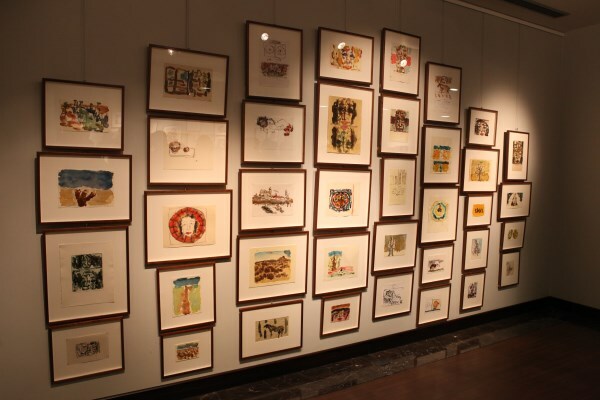 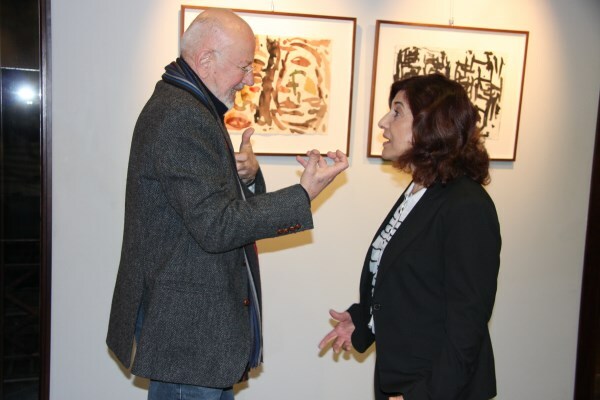 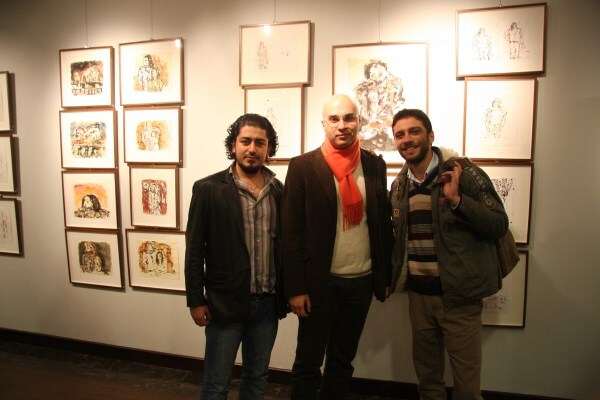 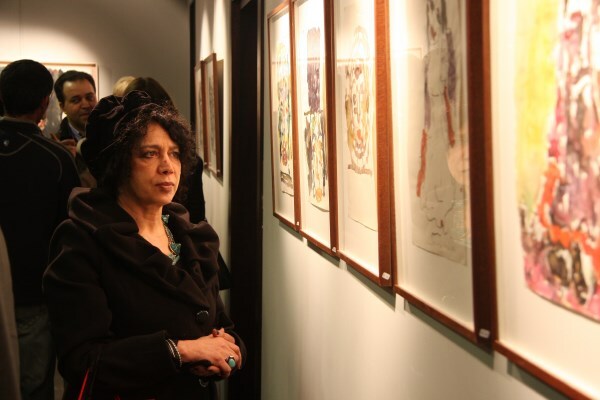 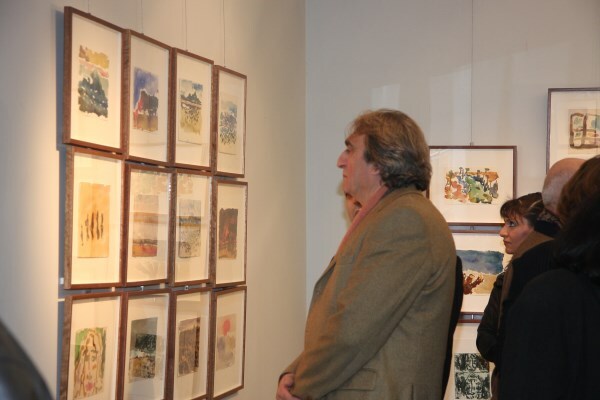 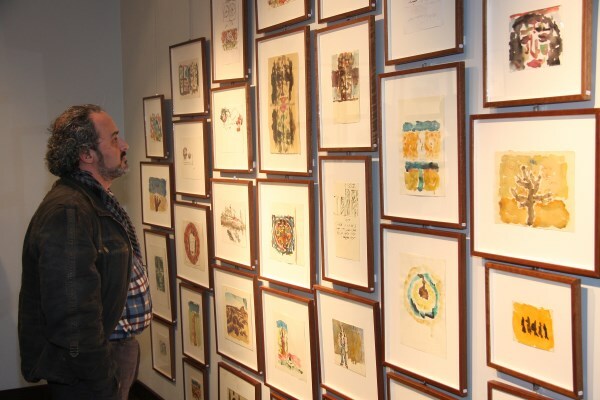 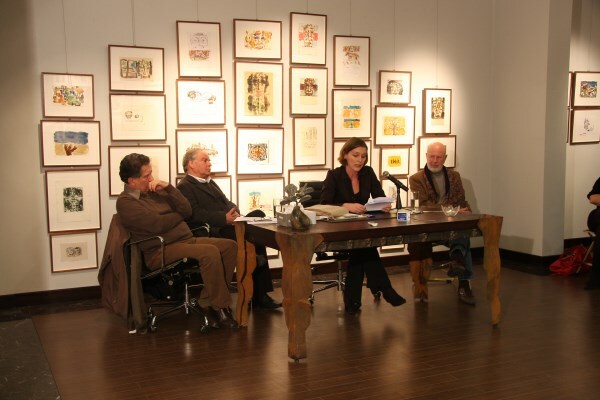 The exhibited paintings of the event were MARWAN KASSAB BASHI’s illustrations & covers for the writer’s publications; presented for the 1st time. 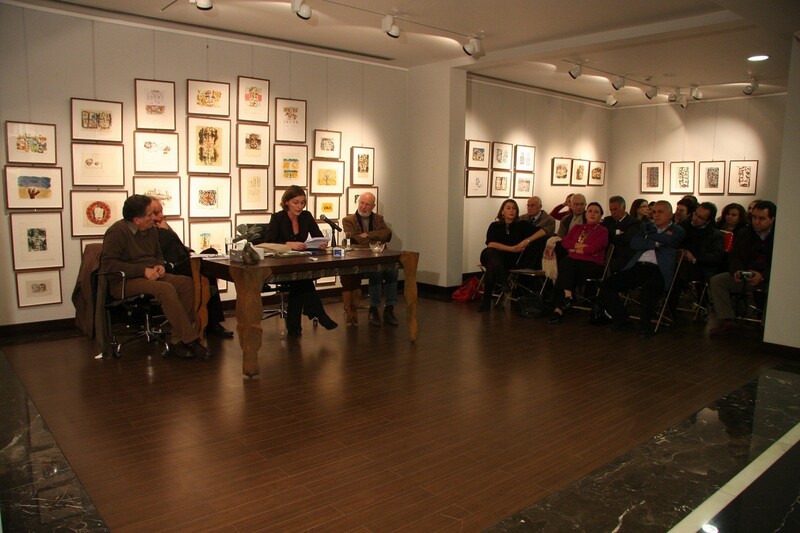 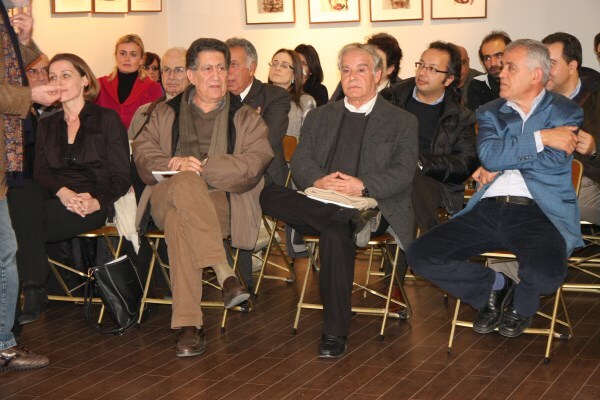 Aside to the Exhibition, a meeting of absent writer’s friends (Fawaz Traboulsi,Faisal Darraj,Marwan Kassab Bashi, Osama Ghanam, Sonia Meacher, & Muna Attasi) was held to commemorate his influence in their lives. 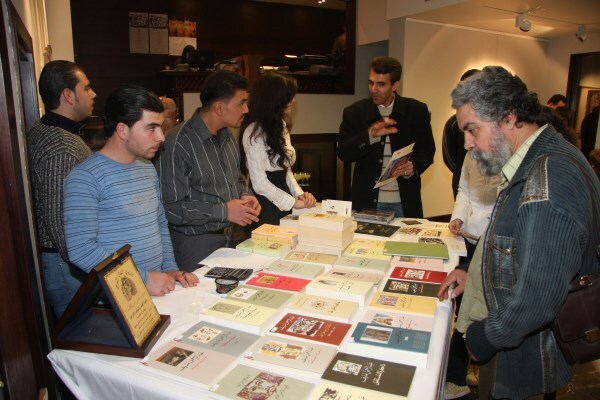 Meanwhile, all of Munif’s publications were represented to the visitors throughout all the event period. 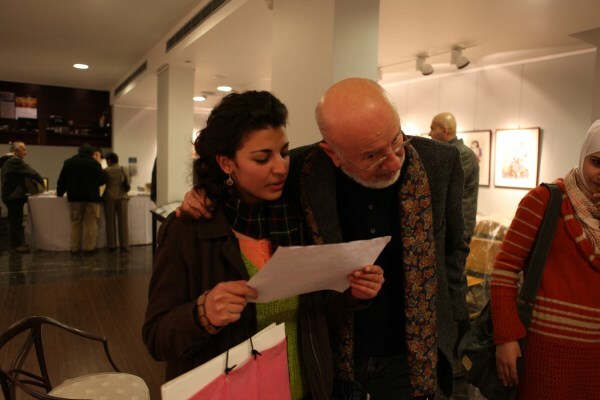 In many ways Marwan (1934 Damascus) is a truly singular figure in the realm of artistic expression. 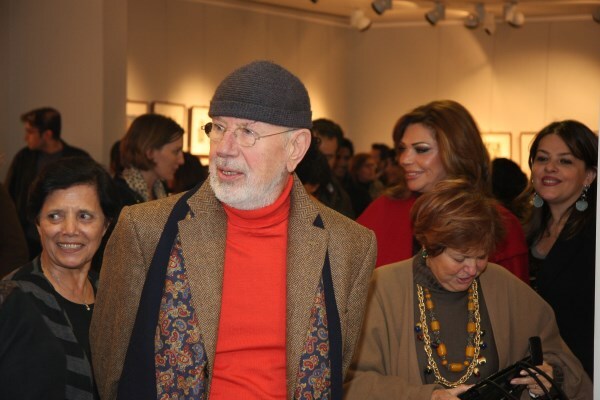 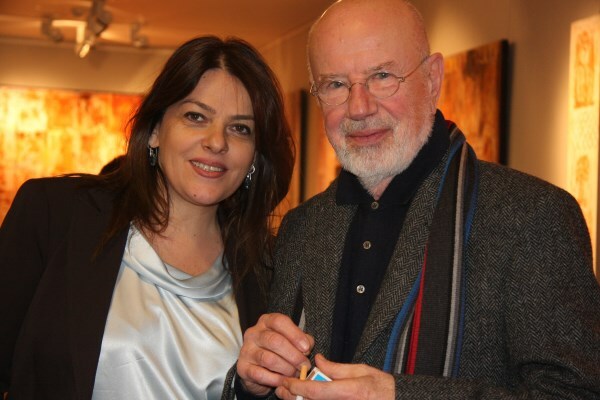 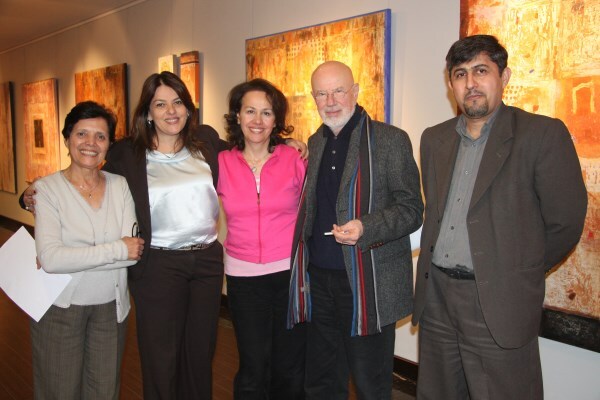 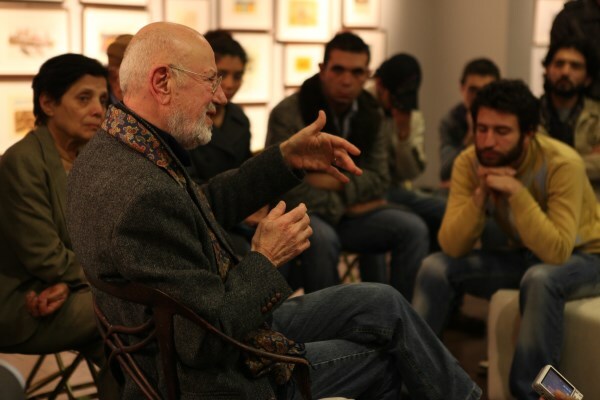 Although he has lived in Europe since 1957 he certainly is the most important Arab painter of his generation. 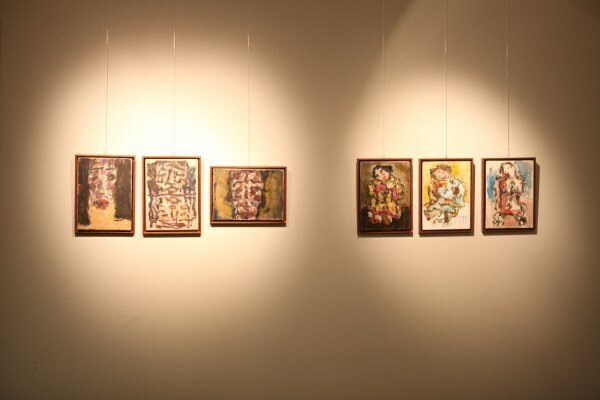 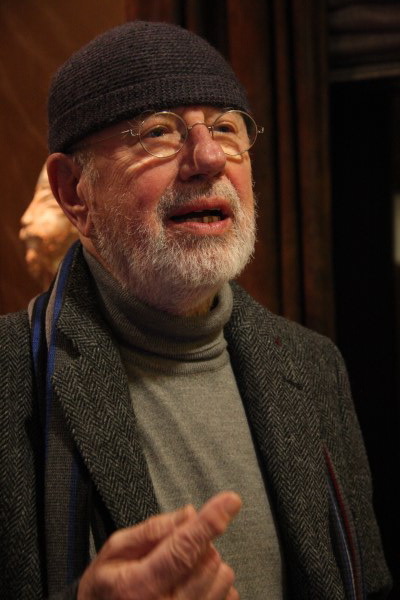 As a Syrian artist based in Berlin for five decades he has been strongly affected by German art of the postwar period, but equally kept a close connection to the cultural legacy and spiritual tradition of the Arab world.